Home General News Fellow Travellers! Take a look at this link to Calla Beck and Lotty, the allotment project there. She Shedder Elaine digs in there too and our old friend Charlotte Angus of Totally Socially helped get the project underway (I mean young old friend, of course). Whitby Area Sheds helped with making steps up the cliff face and more recently with a mud kitchen for tots. Follow the link to the Facebook page. This morning Shedder Graham was invited to breakfast with the Rotary Club. Sheds and Rotary Clubs have a lot in common, believe it or not. Graham was particularly interested in their work with young people, including the recent technology tournament. We hope to have further discussion on how Rotary<>Sheds might complement to benefit Whitby area youngsters. 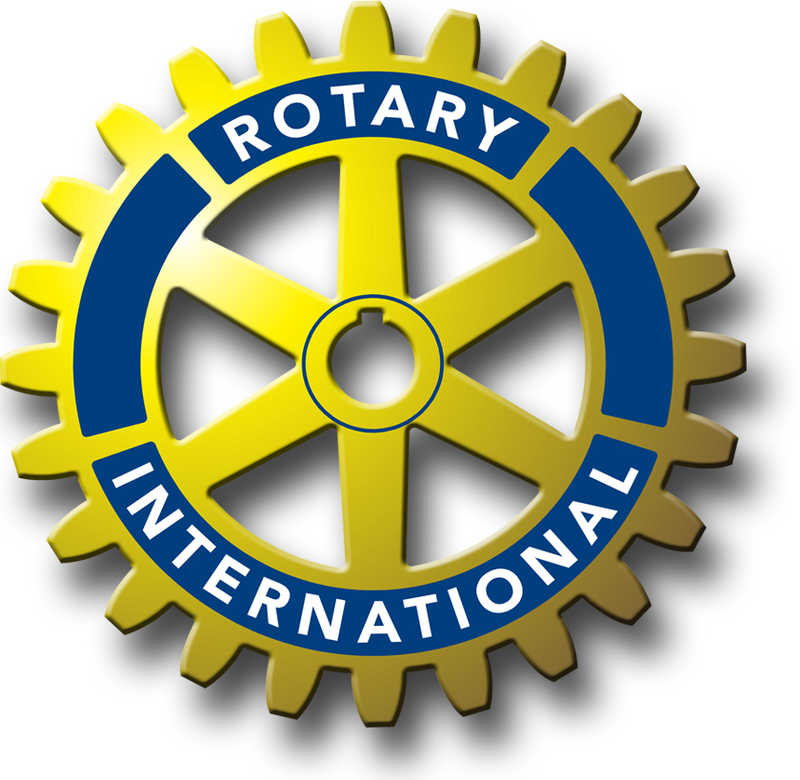 Follow the link below to the Rotary Club and their community focused activities. 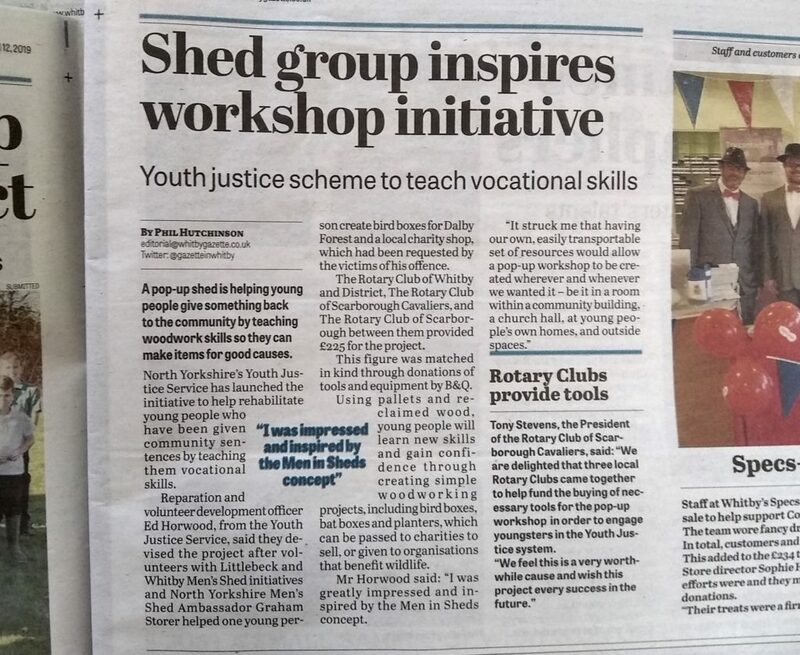 Another connection between Rotary and Sheds in this week’s Whitby Gazette. Back in the summer of 2018, what turned out to be a significant meeting took place on the seat alongside the beck at Littlebeck. It was between SAMS and Ed Horwood from Youth Justice. Could we help him fulfil a requirement of a young offender to make two bird boxes? Could the Shed be used? Ed had been pointed in our direction by Steve Angus, husband of Totally Socially’s Charlotte Angus. Steve had come across Ed and suggested he speak to SAMS. Fast forward to now and the Gazette article below. You will read that several Rotary Clubs in Scarborough and Whitby funded tools for a pop-up Shed that Ed could fit into the boot of his car to do practical sessions with some young offenders. Starting them on some restoration as well as reparation to victims. B&Q joined in too. Ed is to be congratulated for pressing through this innovative idea in what can be risk averse situations. Consider all the connections in the above. All what could easily not have happened but for individuals wanting to help. Can this kind of thing be planned? Not really. It takes an awful lot of flexibility and trust building to let it happen!